"old age" speaking to "youth"
The intention was to leave this question of our "culture-products" alone for a while and to concentrate on the building political frenzy that pretty soon shall certainly consume all of us, testing and taxing our social consciousness and our will or lack of will to act decisively. However, the last column brought certain responses with which we must deal immediately. This is a stupid country. We never seem to know the power of our own manifestations. We have no sense of measure of our own worth or any sense of our own authenticity. And we daresay that our "politics", or lack of politics as Best is wont to say, "cannot be separated from our national stupidity." That we can produce so many "educated" elites and yet know nothing about ourselves, about our "truths", is what miseducation is all about. To deviate a little, look at cricket: Thousands of T&T citizens feel that Lara must be removed from the captaincy of West Indian cricket but do not know that Lara has little talent with which to work and that there is no existing moulding infrastructure for continuous technical development. The entire cricketing world, England, Australia etc knows, but we don't, that Gus Logie is the best and most efficient cricket coach in the West Indies . As a matter of fact, when we were still fighting for Joey Carew to be a West Indian selector, the Windwards' and Leewards' representatives were demanding that Logie be given this mantle. We do not know our own "truths". So much for the supposed deviation. We received the following e-mail from our Pan virtuoso, Liam Teague: "Dear Sir, Happy New Year to you. I have just finished reading your article entitled- Bob Marley & Pan - genius products of the Caribbean people. Being a Steelpan player myself I agree with you 100 per cent that this instrument should be one of Trinbago's most marketable resources. There was just one thing that concerned me about your article though, you constantly mentioned that pan is the only original instrument invented in the 20th Century. It was brought to my attention about three years ago by the Dean of Music at Northern Illinois University, which I attended, that the vibraphone was also invented in the 20th century. This instrument is also acoustic so it is not even safe to say that the pan is the only acoustic instrument of the 20th century. In fact the Dictionary of Music printed by Hamlyn states that it is a form of "xylophone invented in the 1920's in which light metal alloy bars are struck with soft-headed beaters". It is in my humble opinion that the steelpan is arguably the most unique acoustic instrument of the 20th century. If your research proves my statement to be true, please educate the rest of Trinidad and Tobago." The fact of the matter is that pan is the only original musical invention of the 20th Century. The vibraphone is exactly what it is described as, that is, a "form of xylophone" . It is an improvement on the xylophone and its wooden version , the marimba, and first appeared around 1910 in the USA and became popular with the Jazz musicians in the 20's, particularly Lionel Hampton later on. In T&T Andre Tanker was the foremost exponent of the marimba, though we recall Lancelot Layne playing a marimba with Johnny Lee and the Hurricanes, and, typical of us, Andre used to be referred to as the local "Lionel Hampton". However, Rodgers who researched African inventions most thoroughly accredited the xylophone, no matter a crude form, as one of the earliest musical inventions of Africa that spread eastward into Malaysia and other countries through human contact and exchange. As much as we will love to accredit some musical invention to the USA, we will be hard-pressed so to do. All we can credit the US with is the modernisation of the xylophone, nothing original. Almost all the known modern musical instruments originated in Europe. That's the historic fact which no one can change, no matter how much they intellectualise the issue. Truth is truth. There have been disturbing positions on pan and calypso, our "culture-products," that appeared in other dailies and weeklies. One contributor claimed that "pan is noise" and yet another claimed that "Shorty's soca saved calypso" from a natural death and made our Carnival an international export thereby bringing revenue to calypsonians. Our truth tells us that pan has to be arranged and miked in a particular way to get the best effect of integrated sound. Much experimentation still needs to be done. The question should be why isn't this being done on a continuous focused basis? For years it has been established that the only people who do not hear the music at Panorama are the judges because they are in a "hole" and as pan music rises the best location to be for listening and recording purposes is at the top of the grand-stand. Ask Neville Aleong! 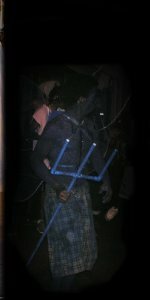 No one has yet been able for example, through recording techniques, to fully capture the mood and the movement and the feel and the sound of pan on Jouvert morning, save and except that signal recording of "Back-Bay Shuffle" embellished with the "chipping" of feet and even the shouts of "Tambi, Tambi". We need to work on the products intelligently. It is all that is needed. On the other hand, the benchmark year for Shorty's soca was 1975 with "Endless Vibrations", and the Carnivals were already big business in Notting Hill and New York pushed by the attraction and infection of up-tempo calypsos and their rhythmic "lavways". Long before 1975. We were there for the first Caribana's in Toronto. Many Canadians clamoured for Caribana to be banned, until the hoteliers came forward and insisted that to ban Caribana will be an act of madness because it was the first time in the history of Toronto that every single hotel room was occupied. We were there, long before Shorty's Soca, and saw Toronto Carnival develop. That is why we can advocate today that there are today some 60 T&T exported Carnivals every year throughout the Western Hemisphere, that together gross in revenue some $4 billion (US) annually, according to the Henry and Nurse study, and of which nothing accrues to the State of T&T. The state must find ways to harness this in our interest. Negotiate a 25 per cent of every business transaction derived out of our exported Carnivals and "culture-products." We cannot continue to give it away freely. If it is duly paid for then there will be funds to do the continued experimentation and development and marketing of all our culture products. We must accept the truths that our products are multi-dimensional and multi-functional. For example, there are calypsoes for Carnival partying and those that are social commentaries. We must know that they are to be packaged and marketed differently. And to the young women who seem to be taking over in all the areas, we plead that they struggle to bring a new level of creativity to bear on the agenda rather than the old tired abuse of naked sexuality, and indeed they should not join the "jump and wave" morons.